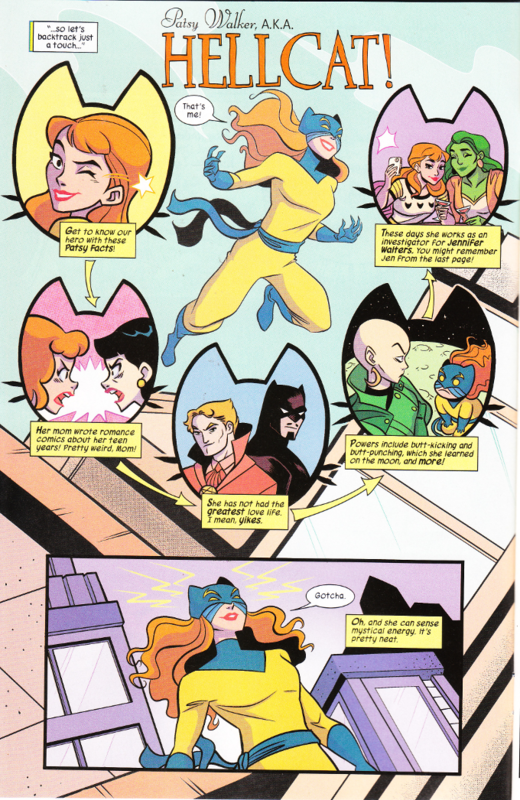 Patsy Walker has had an interesting life, to put it mildly. And she's had more than her share of bad days. Like today, when she lost her job, her apartment and found out that her best/worst frenemy from her teen years has taken over the rights to the uber-embarrassing comic Patsy's mom based on her and put the whole nightmarish run back into print! Still, Patsy Walker has been through Hell before. Literally. And it's going to take a lot more than this to get her down! So with a new roommate and a new attitude, Patsy is going to make things work with a new business venture. 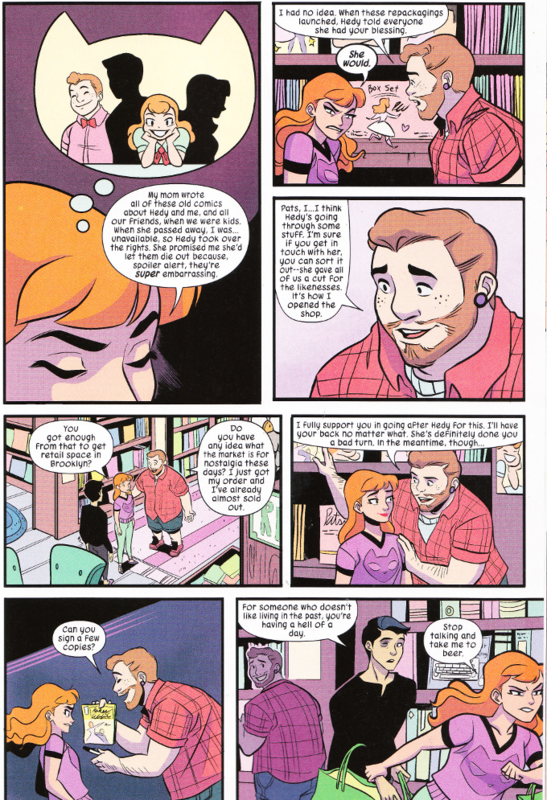 I wasn't quite sure what to expect of Patsy Walker a.k.a. Hellcat, but damn me (pun very much intended) if Kate Leth didn't hook me immediately. We get the rundown on Patsy and her powers almost immediately, before setting the stage for the book and introducing Patsy's supporting cast. Of particular note is Tom -a.k.a. Tubs - a former friend from Patsy's teen years who is now a big bear of a comic shop owner. And yes, I do mean bear in the way you think I mean it. The artwork is a perfect mirror to Leth's scripts. Brittney L. Williams boasts a style that suits both the dynamic action of Patsy's superhero side and the slice-of-life comedy that dominates the rest of her life. And the colors by Megan Wilson are bright and cheerful, adding to the high spirit of the series. This book is a fun read, born of the same wellspring as The Unbeatable Squirrel Girl. Patsy is an immediately likable heroine and there's many moments that will have you laughing out loud, both due to the witty writing and the visual gags in the artwork. I can't recommend this series enough.